Non camera phones can be quite hard to find. Yet, certain industries demand the usage of one for security reasons. We covered most of the non camera phone options previously in 2013, and the other two newer models this year were the iNo 2 and the iNo Scout. SGHITECH is a new entrant to this space, and they are set to release their new phone Excellence in a month’s time. The phone design is nothing fanciful, it has an angular design, with a glossy black plastic framing the 4.0″ screen and the capacitive backlit buttons at the bottom. The bezel space is significant, with the top and bottom space taking up 32% of the vertical real estate. A 4.0″ screen is small, especially when the trend for phones is about having a bigger screen size. SAF guidelines for non-camera phones in the red zone goes up to 4.3″ and that’s the maximum screen size for other non camera phones such as the iNo 2 or the Phicomms. It’s a strange decision to stop at 4.0″. Aaron Cheng, founder and CEO of SGHITECH shared that “the reasoning of 4.0inch is reliability. Production of 4.3inch is little as it is a phased out dimension for screens. 4.5inch, 4.7inch and 5inch are the preferred standards. We can choose to use 4.3inch but we will have quality issues with very high percentage of failure over time. For us, our focus is reliability and quality”. Yes, the phone is extremely durable. It is shock proof and can easily survive a drop from a meter or two. Most other phones would have their screens cracked but the Excellence can easily withstand such drops. I did try a couple of times. 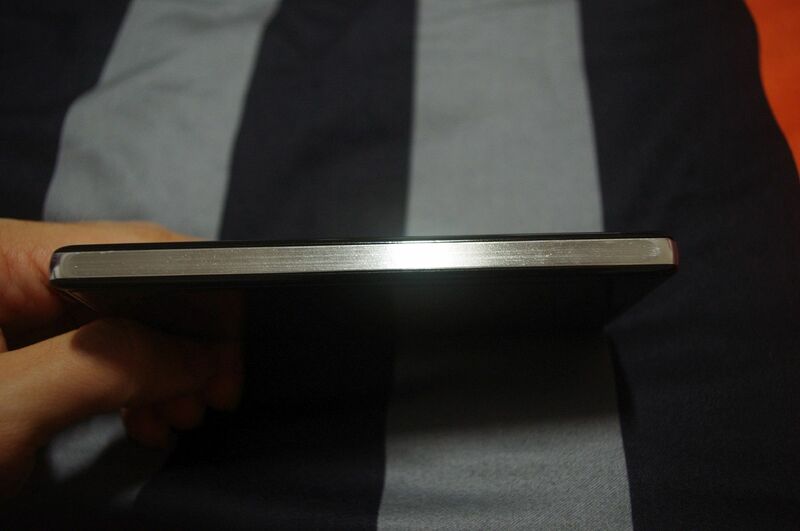 The sides of the phone is also plastic, but adorned with a brushed metallic finish, which looks not too bad. The volume and power buttons are on the right hand side, and the 3.5mm audio jack is located on the top.The back of the phone sports the company’s logo where the usual camera lens would be. Otherwise it is rather plain, a glossy black finish with the speaker grilles located at the bottom. 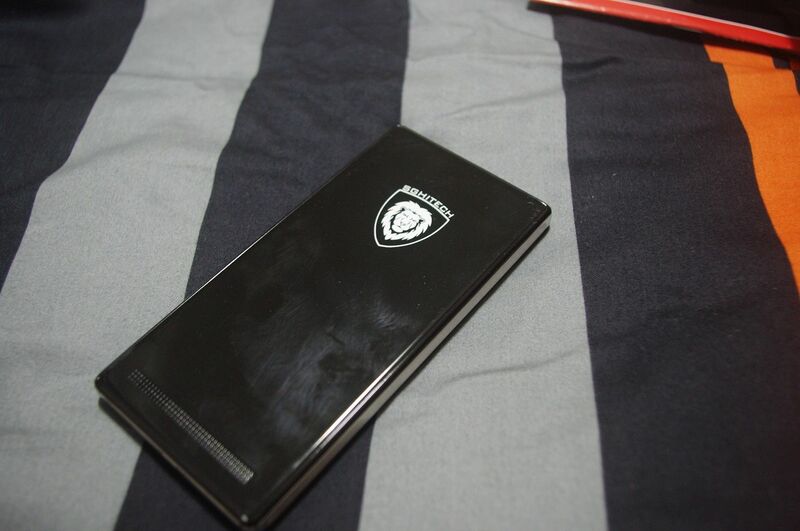 The back is removable, to reveal the 2000mAh battery, dual SIM card slots, and a microSD slot. I felt the phone design to be rather conflicted. I would think if you want to offer a non-camera phone, you would push it to the maximum boundary, and offer a 4.3″ high PPI screen with stellar hardware specifications. On the other hand, if you are offering a shock proof feature, then it would seem to target the outdoor, active lifestyle users, which could be appropriate since the military is a big consumer of non camera phones. However, that is again not too likely as the phone misses out on water proof and dust proof certification, which would be critical for those living an active lifestyle. For the internals, the phone is equipped with a MediaTek MT 6582 Quad Core 1.3 Ghz, 2GB DDR3 RAM, Mali-400 MP, a 4″ 480 x 800 screen offering a Pixel Per Inch (PPI) of 233. 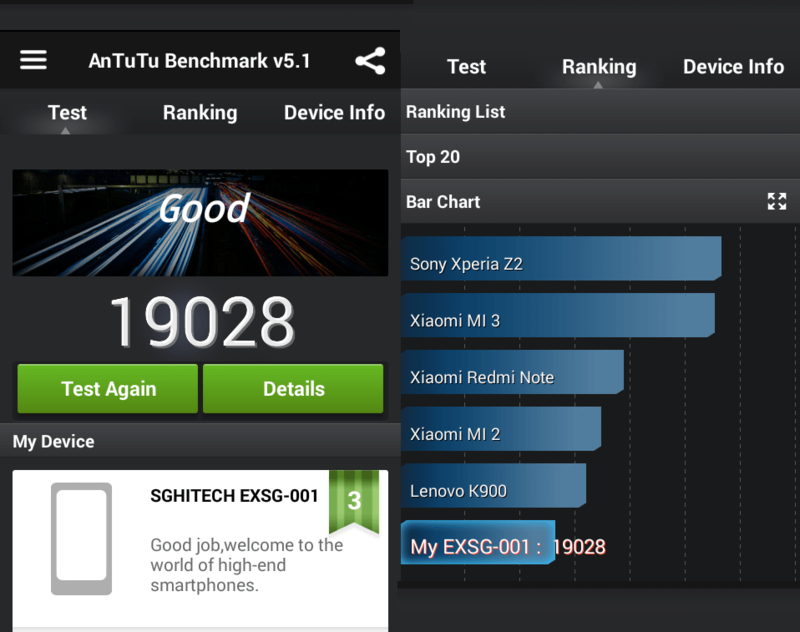 Antutu benchmark scores are at 19028. Connectivity wise is standard fare, with Wi-Fi, Bluetooth, but no NFC. It comes with 16gb of storage which is generous as compared to similar offerings. The extra ram comes in handy, with the phone offering reasonably snappy performance, which I will cover more during the software portion. As a comparison, the Excellence is similarly spec-ed to the Google Android One that is currently selling in India, which has less ram at 1GB and storage of 4gb. The Android One does have a bigger screen at 4.5″, and sells for around US$100. The phone comes with Android 4.4.2 which is a pleasant surprise. The phone software is definitely minimal on bloat, comes with minimal customisations, and uses the SGHITECH’s own launcher. My typical use include replacing the launcher with Google Now Launcher but after installing, ran into some initial problems. Trying to start GNL pops up a message indicating that Launcher is currently the default launcher. To try the Google Now Launcher, go to Settings, touch Clear Defaults, and press the Home Button. A reset managed to solve things though. The capactive button layout follows the Google standard layout, with Back, Home and Multitasking buttons. Different from the usual Chinese layout with back on the right. However, the multitasking button (with the correct icon) calls up the settings menu instead. Multitasking is achieved by holding the Home button. The other thing was I wanted to dim down the backlit buttons as it was overly bright at night. Once again, there doesn’t seem to be a setting to control it. Hopefully these nuances would be addressed soon. The phone felt snappy. A good combination of Android Kitkat optimisations plus the generous 2gb ram. For basic usage of the phone, the specifications are more than adequate. I wanted to find out if it could do a little more. Gaming performance turned out pretty decent as well. 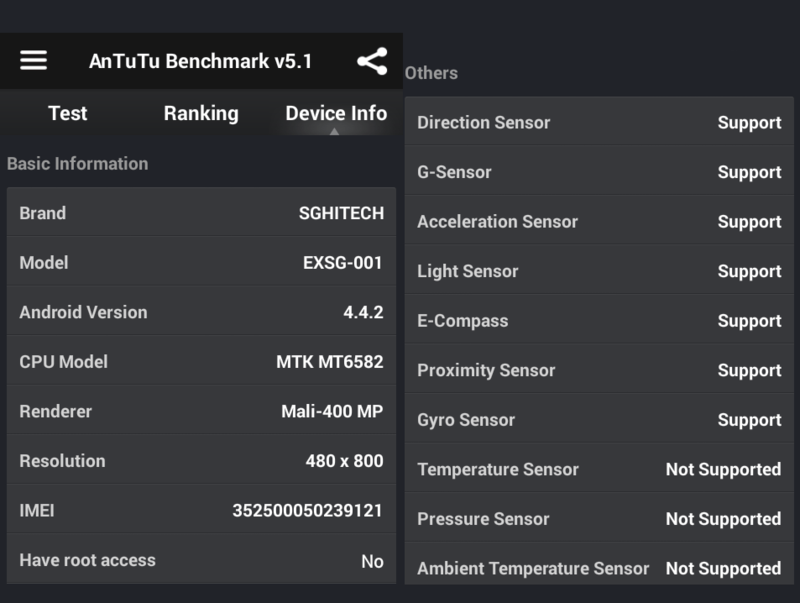 Tried out Asphalt 8 and Fifa 2015, and for Asphalt 8, in game performance was smooth, but load times were slightly long. Fifa 2015 was also generally smooth, there were slight occasional hiccups ingame but nothing too significant. The SGHitech official retail price is at $380 and would be available from 12 December at their shop at Bukit Batok Crescent and selected resellers. The company also shared they are in the works of producing a larger screen non camera phone – for the overseas market. Interested parties can contact them for more details. For easier purchase, they have an online presence on Qoo10, convenient as they will ship to your house directly. Price is also cheaper, at $330. Time has gone by so quickly and especially for technology, a 10 months time lag could mean the world of difference in specifications. While new budget phones have arrived at lower prices, non-camera phones specifications haven’t improved much and are now at a marked premium over their camera-totting brethens. With improved regulations after introduction of green zones in SAF camps, there is greater flexibility in the use of camera phones, especially in key training areas such as Pulau Tekong. Even for those who have to cross into the red zone areas, there’s the alternative solution of using a wearable device such as Android Wear to maintain communication as covered in our hands on with the G Watch. Well, if you really need a non camera phone, there are plus points for the Excellence such as the better software, storage space and RAM. 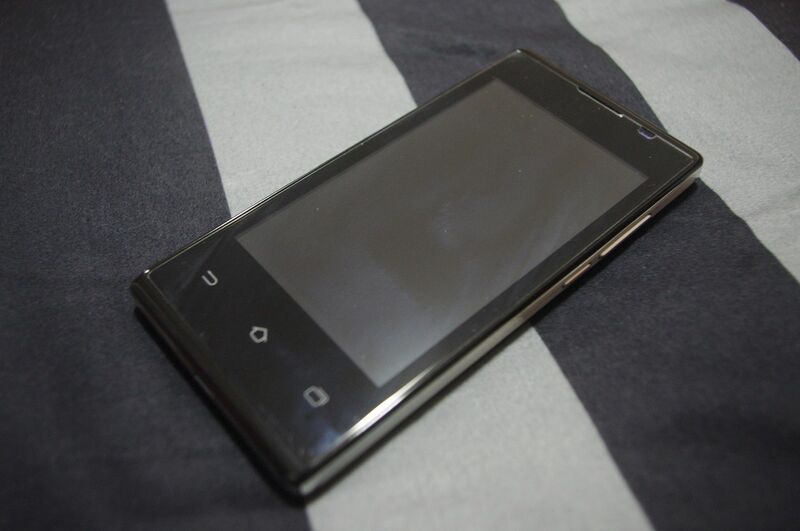 However, do take into consideration the chunky design and small, lower resolution screen. Any updates on the release of these phones? Hello! Thanks for visiting. I won’t exactly consider this phone as non-pricy too. But we understand that the phone is pending IDA approval. Will update soon if we get more news. Update: It’s now available at selected resellers and directly from SGHITECH as well. Any newer model of non camera mobile phone coming in? Any issue with GPS for this phone? I can’t exactly remember but lock and on-road navigation worked fine for me. Perhaps you can give it a whirl at their shop? “Unfortunately, it jumps. We had tried to fix it, but due to the resources we have, we can’t. The problem is the magnetic sensor which jumps erratically when perpendicular or flat. That messes with car navigation software which estimates your position and direction based on gps and compass. The problem lies on the chip for Magnetic Sensor, Gyro Sensor and the software contractor. I bought this phone but is it can’t use mandarin as my samsung phone when we need to type chinese just press on the space bar but this phone i can’t do that. Can you advise how to go to typing chinese in sms or wapp. Hi Susan, not too sure on the settings, but you can search through keyboard / input settings. Otherwise do consider using the Google keyboard. There’s pinyin chinese input there too. Is the phone able to support to play pokemon go? Why no reply? Is this phone able to support to play pokemon go? I don’t have the phone with me, but it should!